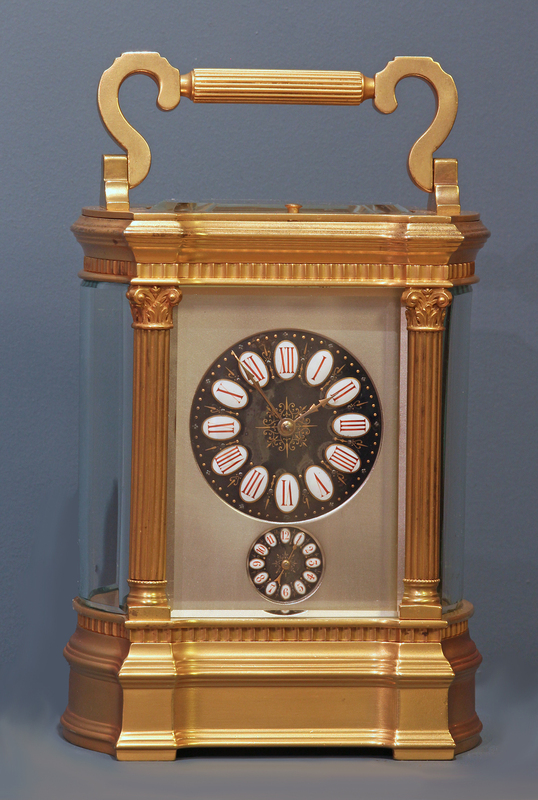 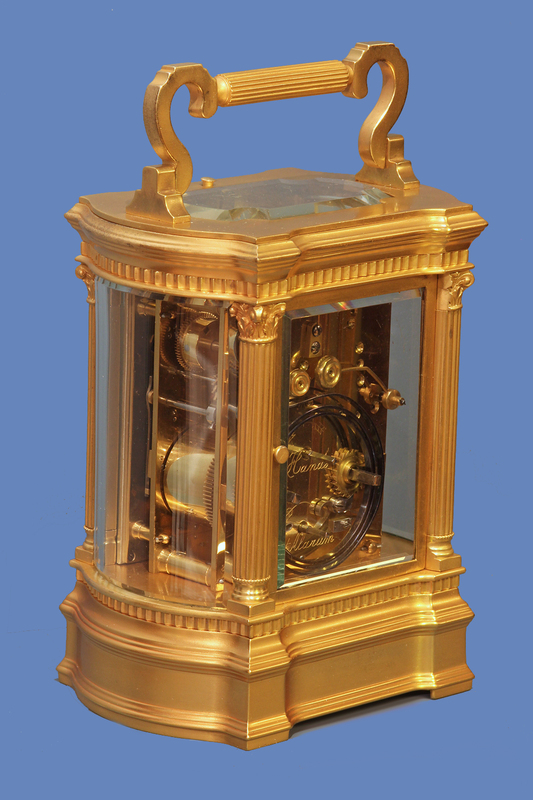 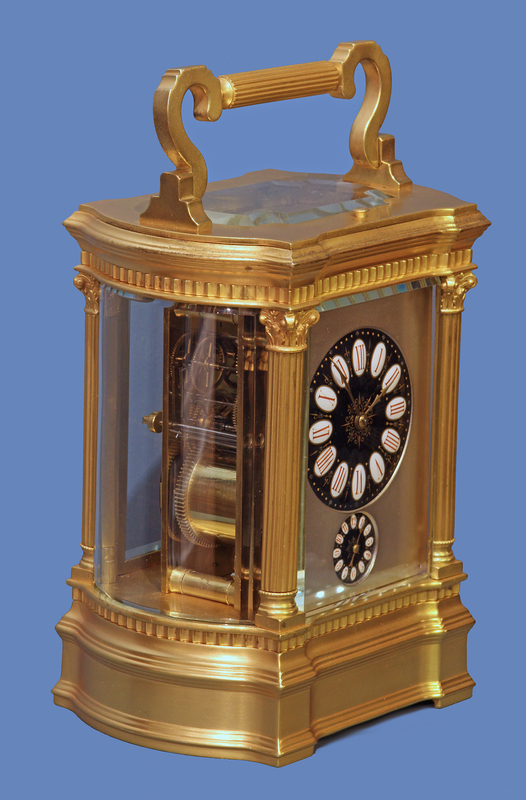 The large gilt-bronze bow-sided Anglaise Riche case has fluted Corinthian columns to the corners, a hinged handle, beveled glasses to the sides and a shaped beveled glass above. 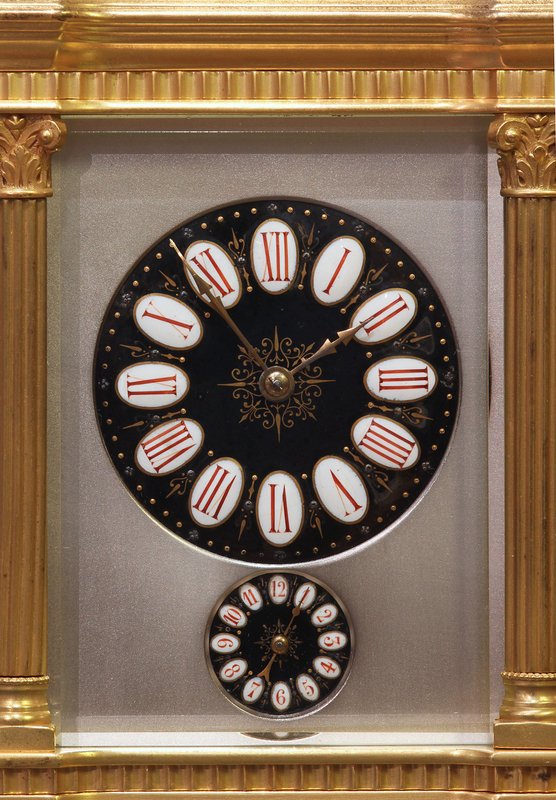 The Limoges enamel dials have red Roman numerals on white cartouches for the hours, red Arabic numbers on white cartouches for the alarm hours, dark grounds with decorative gilt-work, a silvered mask and steel cut hands. 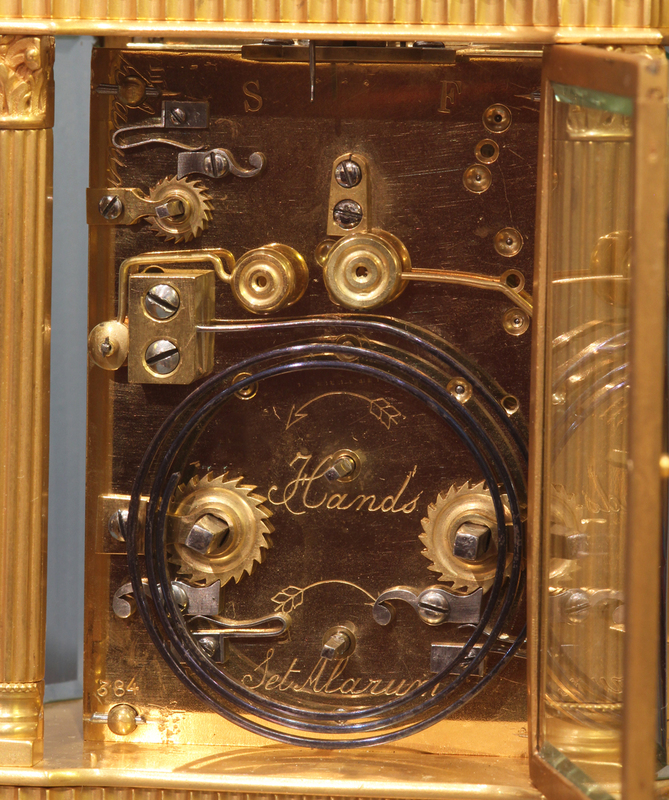 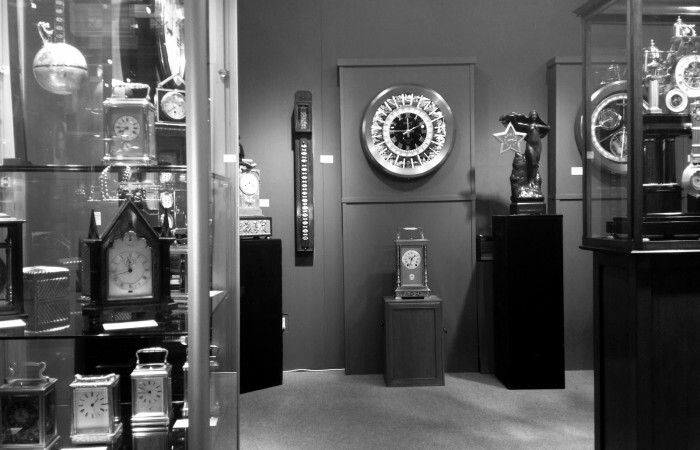 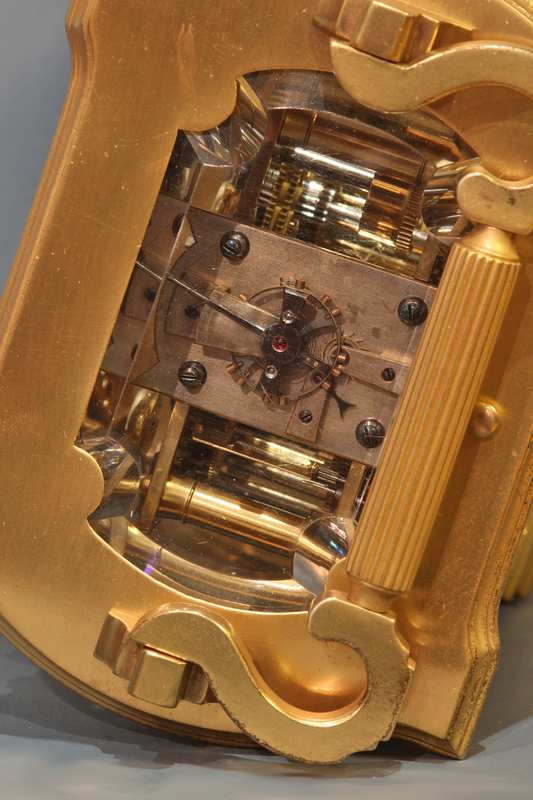 The eight-day time, strike and alarm movement has a lever platform mounted above, is wound and set off the backplate, has engraved indications in English and is stamped ‘384’.